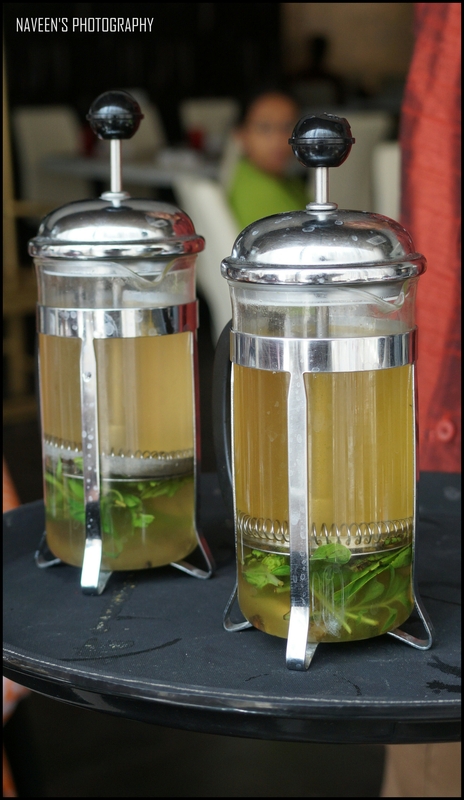 Bangalore is flooded with so many new restaurants in last 5 years and people in Bangalore do accept all type of cuisines and love to try at least once, if taste suits the palate, visit to the place becomes a regular affair. So that’s how the international fast food chains expanded to multiple vicinities. There are multiple cuisines in Bangalore most favorite among them are North Indian, Chinese and Italian. Also, there is different set of people, who would be visiting to the places which serve global cuisines and that crowd would be around 10 Percent. Apart from all these regular cuisines, there is something called “Aspect Cuisine” and may be a few people might be aware of this cuisine. It’s totally new to Bangalore in fact! Chef Nimish Bhatia is the founder of Nimisserie – An Experienced Chef, who worked in multiple star hotels in India and abroad. His last assignment was at Lalit Ashok as a Corporate Executive Chef. The interest towards cooking started from his childhood and he is inspired by his Mother. His experience in the culinary journey is massive; as it is evident in the dishes he prepares as it is not so easy to curate such dishes. The hotel industry is crucial and very important to gratify every guest. However, he won thousands of hearts in a span of one month. 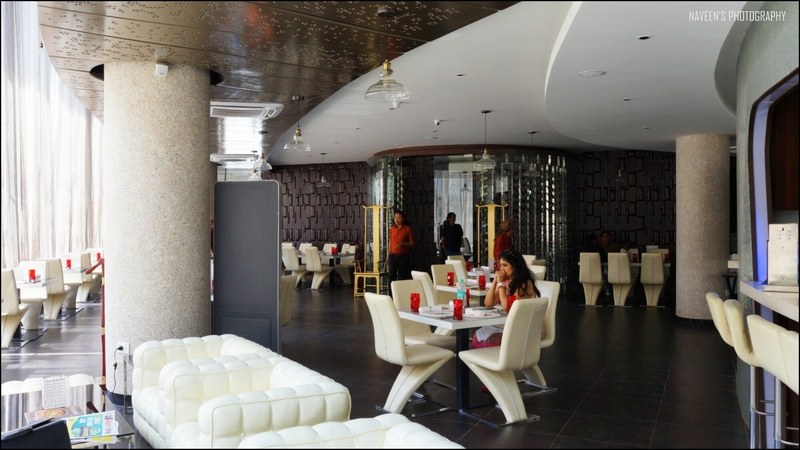 “People who visited “Nimisserie” never had disappointment with the Food” – This statement was raving in most of the food groups across Bangalore. 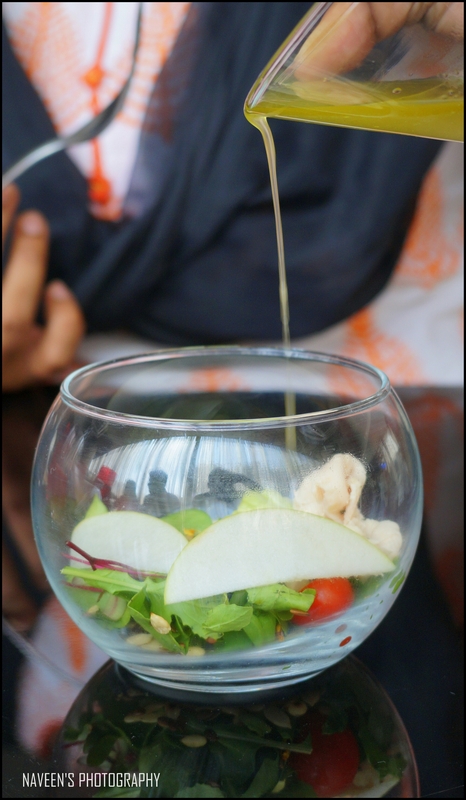 It was a privilege to be part of the “Bloggers Meet” happened at Nimisserie on 5th March 2016 along with few foodie friends. The place was in my wish list since it was launched. As I said, it’s a fine dining restaurant with Classy interiors! 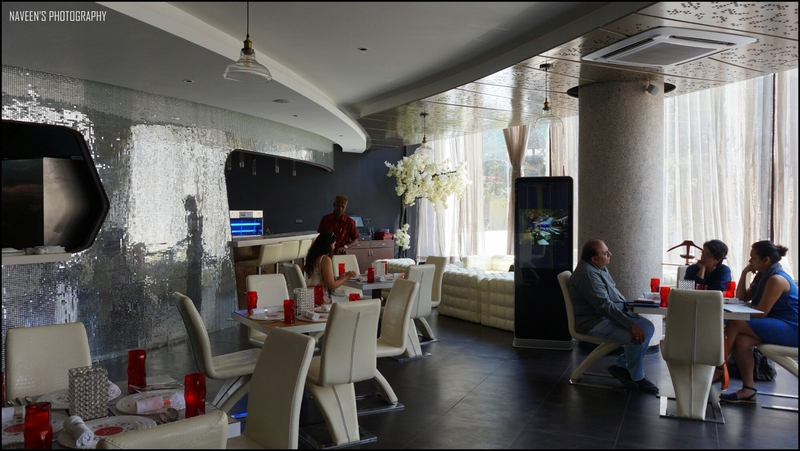 The restaurant décor was designed in an innovative manner. Since, the theme of the place has Silver, White and Red combinations. 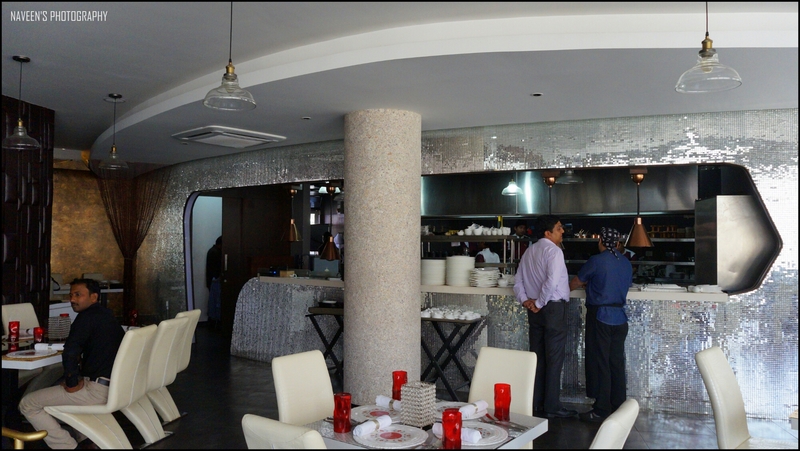 The walls of the visible kitchen are decorated with tiny silver tiles, which give a party feel. Whereas, the dining chairs are white leather covered, which looks elegant and matches to the complete dining area. A filament lights were mounted from a roof and the light falls on the huge curtains and give extraordinary amber influence. 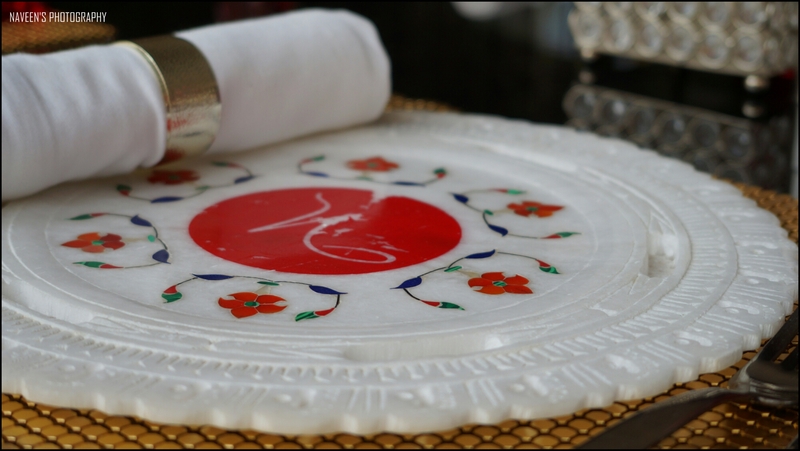 The show plates which are kept on dining tables are made from the same marble which was used in designing the Taj Mahal in Agra. 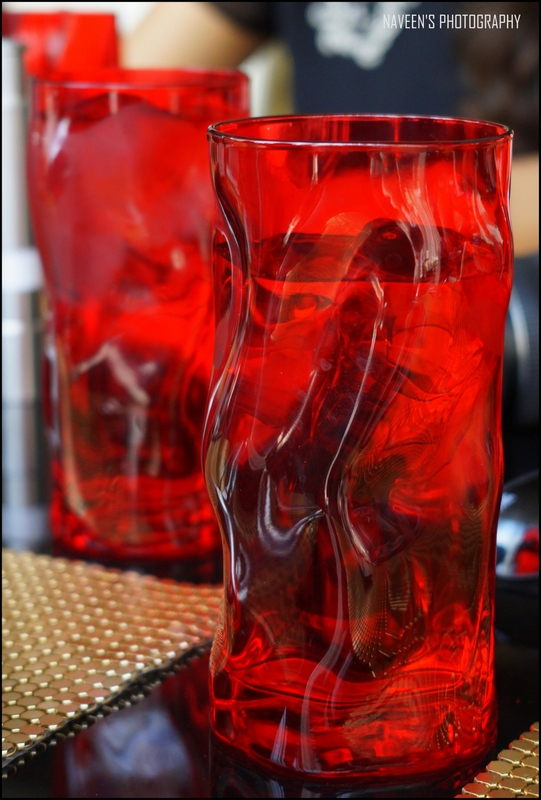 They have bright Red Color hard & beautiful tumblers, which were imported from Faizabad. Chef. Nimish Bhatia along with his architect visited so many countries and got so many objects to design Nimisserie. We visited Nimisserie for lunch and tried their 7 Course Meal, which is definitely a steal for the quality, service, taste and ambiance. It’s an apt place to celebrate any special day with friends and family. It’s a good place for lunch with clients, good food make positive things. 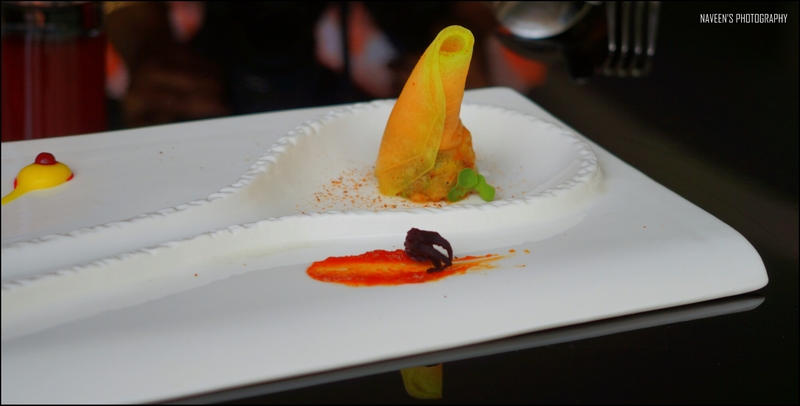 Reconstructed Chilled Samosa, Ber Chooran, hibiscus dust – The chilled samosa wrapped in melon did not taste sweet. However, it has a cool summer feel and pungent flavor gave it the right twist. Smoked Arugula, Marigold Flowers, Basil, Dehydrated Pineapple – I am not a Salad Person. However, the aroma of Basil & Smoked flavor made me to fell in love with it. 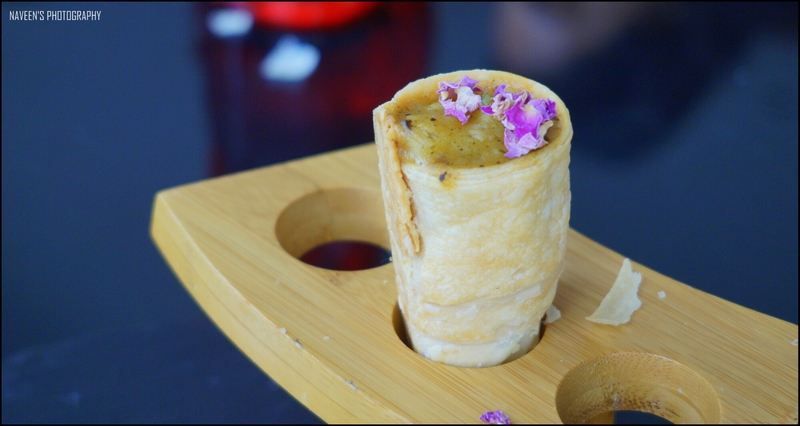 Nostalgic Cream Horns A La Galawat – Dubki Aloo garnished with edible Jasmine Flakes – Dubki Aloo stuffing was extremely good and loved the presentation. 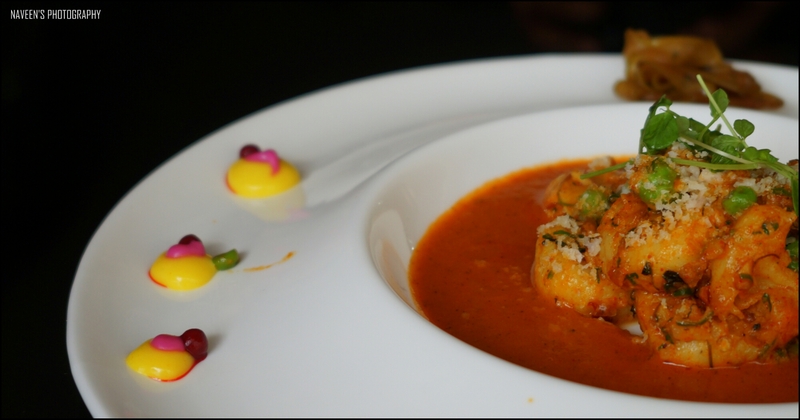 The dish has a Indian Flavors & definitely appeals to try another one. 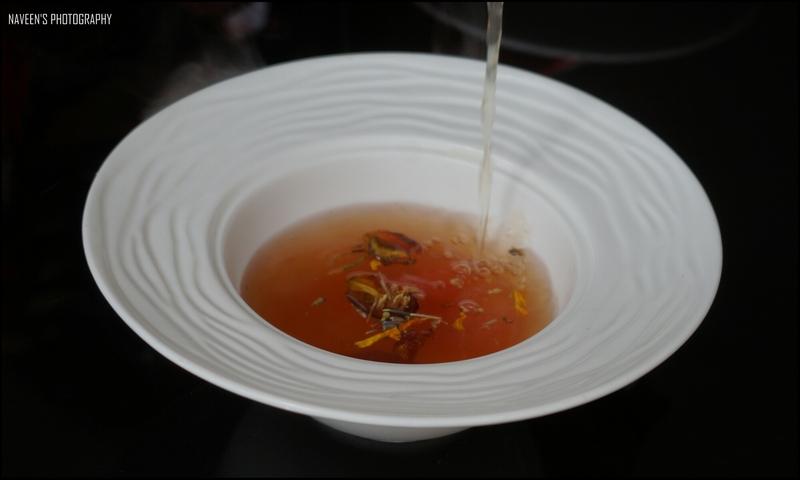 Tomato Bubble Loaded with Flowers, Root Veggies and Fruity Fragrances, Pored over with a Fresh Decant of Herb Fusion – The aromatic soup and tastes excellent. There is a molecular gastronomy involved in the dish and a must try! Dhokla Disks – Milk Dumpling garnished with Chili Coriander Foam and Plantain Crisp, the taste is truly unique although it’s Dhokla. That’s because of the Chili Coriander foam! Pea Gnocchi with Saag Kulcha – The Portion looks huge and presented in an appealing manner. This dish definitely made a Justice and the Ghocchi in Saag is out of world. Its lip-smacking! Bihari Pithi Pockets stuffed with Spinach & cottage cheese, Flax Seed, Sattu, Dal Sauce with Crisps – It’s a twist to Dal Khichdi. However, the taste is slightly different because of the gourmet ingredients! This is heavy to the stomach, though it looks small. Tarte Tatin Mishti Doi Brulee – Every meal has a happy ending, that’s Dessert! Again, I liked way this dessert was presented. The Tart was made out of Butter Biscuits and that just melts in mouth. Whereas, the Mishti Doi is a Soft Sweetened Curd. It’s a perfect combination and just awesome! 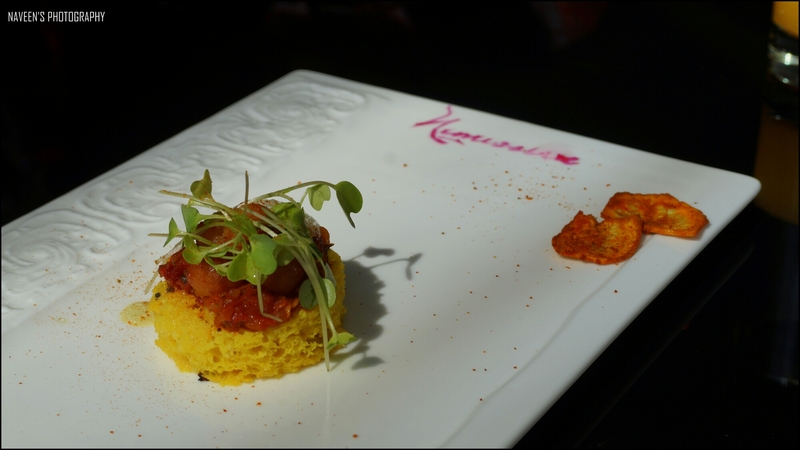 More than a food, it’s a unique experience at Nimisserie as the Indian cuisine is blended with gourmet touch. I am sure every Indian food lover will like this aspect cuisine. I am eagerly waiting to go for 9 Course & 11 Course Meal at Nimisserie. We enjoyed an interactive session with Chef. Nimish Bhatia. The man carries vast industry knowhow as he unleashes a new world of cuisine. It was indeed a cherished palate experience. Address: 120, Off Wood Street, Ashok Nagar, Brigade Road, Bangalore.